This 7-part vid remixes radio broadcasts of "Cash Flow" with James Martinez, aired on March 25, 2009. Though he claims his real name is Bob Dobbs, on "Cash Flow" the man known as "The Wizard of Media Ecology" speaks under the nym "Bob Neveritt" (he's never it), employing this device to minimize static from the SubGenii, who claim that J.R. "Bob" Dobbs is nothing but a clip-art head-shot of a beamish, avuncular man smoking a pipe; that Bob Dobbs stole his identity from them; and that his real name is allegedly Bob Deane. Dobbs was a close friend of Walter Bowart who wrote the first classic on the subject, Operation Mind Control, and edited the East Village Other. Martinez was Bowart's last roommate. Dobbs, who was a proto-conspiracist commentator on Toronto radio (CKLN) long before 9/11 made conspiracy a household word, also cites Mae Brussell and other early conspiracy theorists. Understanding media effects is vital to grasping the flux of our current culture and glimpsing the future into which we may or may not be heading. Dobbs drops a whole domain below the emergence of any specific 'content' describing how the "reality-generating" system itself works its delusion-spinning magic. Dobb's reality is one where the "user is content." Bio: Robert (Bob) Dobbs (born February 2, 1922, in Paris) is a paramedia ecologist, author, poet, politician, lecturer, and the inspiration for the J. R. "Bob" Dobbs character of the Church of the SubGenius. His father was a member of the Priory of Sion and his family worked as servants for the powerful aristocratic families of Europe for generations. Through his father's connections to these families, Dobbs became active in key international intelligence agencies after World War II. In the early 1960's, initially assigned to monitor and sabotage the work of Marshall McLuhan, Dobbs ended up becoming a promoter and archivist of McLuhan's project. Dobbs co-hosted with Myke Dyer a whistle-blowing radio show on CKLN in Toronto from 1987 to 1991 where he exposed his former colleagues in the intelligence community, members of a secret governing body he referred to as "The Secret Council of Ten". In 1992, early McLuhan students, Nelson Thall and Dave Newfeld of Time Again Productions, released Bob's Media Ecology and Bob's Media Ecology Squared--two albums of sound bites from Dobbs' radio show. Dobbs' insights are most accurately portrayed in his 1992 book, "Phatic Communion with Bob Dobbs". In the Winter 2000 edition (Issue #22) of Paranoia Magazine, Robert Guffey draws several parallels between the themes in The Matrix and the life of Bob Dobbs, suggesting that the movie is based on his life and insights. Three years later, after the complete Matrix trilogy is released and seems to confirm Dobbs' projections, Guffey did a follow-up interview with Dobbs which is posted at the website for Paranoia Magazine. 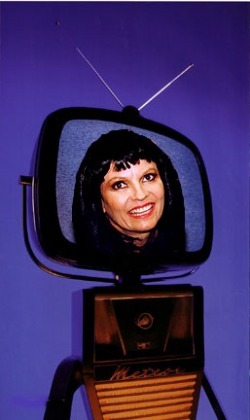 Dobbs now does lectures and TV and radio appearances on paramedia ecology, the significance of the work of Marshall McLuhan and Finnegans Wake, and humanity's triumph over the Android Meme, which is an "automated self-replicating unit of cultural transmission; machines communicating with machines" (from androidmeme.com). Highlights from Dobbs' 2005 Los Angeles lecture tour are featured in Eli Elliott's documentary Def Con Bob. In 2005, archived episodes from Dobbs' radio shows began to be rebroadcast on CKLN's International Connection. Dobbs has been carrying on a dialogue with his students through his discussion forum at FiveBodied.com since 2005. Multimedia content by and about Bob Dobbs is posted at http://fivebodied.com. “Paramedia” describes what happens when peers come together in networks of influence, using media innovation. In the era of USER AS CONTENT, self-organizing people with the status skillsets of traditional media and access to media publishing tools converge in mutually-reinforcing, democratic and purposeful new ways beyond journalism and the shameless self-promotion of "Web 2.0" and other non-compliant media and distribution channels. It is an extension of the zeitgeist of our times to connect directly with Source and Spirit. Now those on social networks inform one another directly.